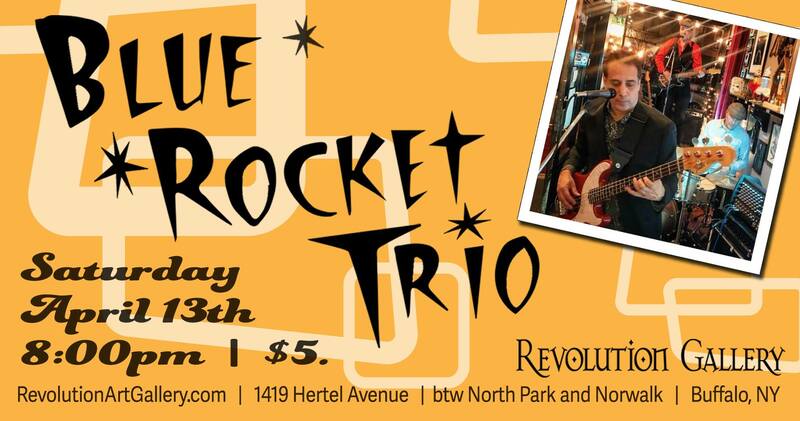 It’s the return of Blue Rocket Trio to the Side Stage at Revolution Gallery! Join us for this evening of art and music! The band will be playing two sets of their blistering rockabilly and Americana rock, so get ready to dance! And checkout our latest exhibit “On the Edge of Oblivion!” See you there! !